LOUISVILLE, Ky., May 17, 2017 /PRNewswire/ -- The state of PPL Corporation's (NYSE: PPL) business is strong and getting stronger, PPL Chairman, President and Chief Executive Officer William H. Spence told shareowners today at PPL's annual meeting in Louisville, Ky.
"We offer scale and diversity, with seven high-performing, award-winning utilities in both the United States and the United Kingdom," Spence said. "Our businesses are among the very best in customer satisfaction in the regions they serve. We have an outstanding track record of delivering on our commitments to customers and shareowners. And we are investing $16 billion in infrastructure through 2021 to build a smarter, more secure energy grid and to advance a cleaner energy future." Spence said the company's investments continue to deliver substantial benefits for customers. For example, he said PPL's U.K. operations delivered their best year in 2016 for network reliability. At the same time, smart grid enhancements in Pennsylvania prevented more than 100,000 customer interruptions last year. 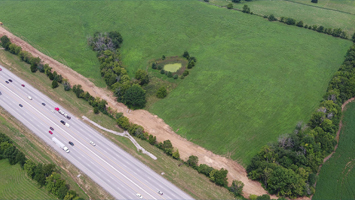 Also in 2016, PPL's Kentucky-based utilities completed a multi-year, $2.8 billion air quality improvement initiative that will dramatically reduce emissions going forward. In addition, PPL successfully navigated the foreign currency challenge presented by the United Kingdom's vote to leave the European Union. As a result of its continued success, PPL is well-positioned to deliver 5 to 6 percent compound annual per-share earnings growth from 2017 through 2020 and targeted dividend growth of 4 percent a year through the same period, Spence said. Wednesday's meeting was held in Kentucky. PPL acquired Louisville Gas and Electric Company and Kentucky Utilities Company in 2010. Those acquisitions, along with the company's acquisition of two additional utilities in the U.K. in 2011, helped transform PPL into one of the largest companies in the U.S. utility sector. During the meeting, PPL shareowners also elected nine directors to one-year terms, approved 2016 compensation for executive officers named in the company's proxy statement, approved the frequency of future votes on executive compensation to occur each year, approved the company's 2012 amended and restated stock incentive plan, and ratified the appointment of Deloitte & Touche LLP as the company's independent registered public accounting firm for 2017. Visit the Board of Directors page at www.pplweb.com for background on the directors elected Wednesday. In addition, shareowners voted in favor of a nonbinding shareowner proposal requesting that PPL publish an assessment of impact on the company's portfolio, of public policies and technological advances seeking to limit global warming. 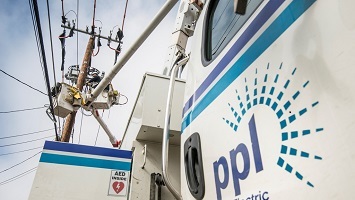 Headquartered in Allentown, Pa., PPL Corporation (NYSE: PPL) is one of the largest companies in the U.S. utility sector. 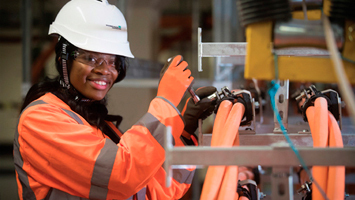 PPL's seven high-performing, award-winning utilities serve 10 million customers in the U.S. and United Kingdom. With about 13,000 employees, the company is dedicated to providing exceptional customer service and reliability and delivering superior value for shareowners. To learn more, visit www.pplweb.com. Statements contained in this news release, including statements with respect to future earnings, cash flows, dividends, financing, regulation and corporate strategy, are "forward-looking statements" within the meaning of the federal securities laws. Although PPL Corporation believes that the expectations and assumptions reflected in these forward-looking statements are reasonable, these statements are subject to a number of risks and uncertainties, and actual results may differ materially from the results discussed in the statements. The following are among the important factors that could cause actual results to differ materially from the forward-looking statements: market demand for energy in our service territories; weather conditions affecting customer energy usage and operating costs; the effect of any business or industry restructuring; the profitability and liquidity of PPL Corporation and its subsidiaries; new accounting requirements or new interpretations or applications of existing requirements; operating performance of our facilities; the length of scheduled and unscheduled outages at our generating plants; environmental conditions and requirements and the related costs of compliance; system conditions and operating costs; development of new projects, markets and technologies; performance of new ventures; asset or business acquisitions and dispositions; any impact of severe weather on our business; receipt of necessary government permits, approvals, rate relief and regulatory cost recovery; capital market conditions and decisions regarding capital structure; the impact of state, federal or foreign investigations applicable to PPL Corporation and its subsidiaries; the outcome of litigation against PPL Corporation and its subsidiaries; stock price performance; the market prices of equity securities and the impact on pension income and resultant cash funding requirements for defined benefit pension plans; the securities and credit ratings of PPL Corporation and its subsidiaries; political, regulatory or economic conditions in states, regions or countries where PPL Corporation or its subsidiaries conduct business, including any potential effects of threatened or actual terrorism or war or other hostilities; British pound sterling to U.S. dollar exchange rates; new state, federal or foreign legislation, including new tax legislation; and the commitments and liabilities of PPL Corporation and its subsidiaries. Any such forward-looking statements should be considered in light of such important factors and in conjunction with PPL Corporation's Form 10-K and other reports on file with the Securities and Exchange Commission.